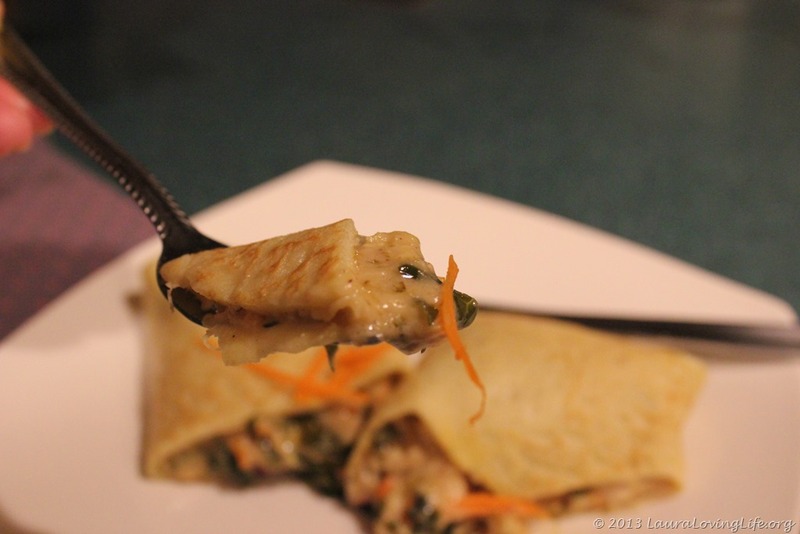 Crepes are very simple to make and really adaptable. 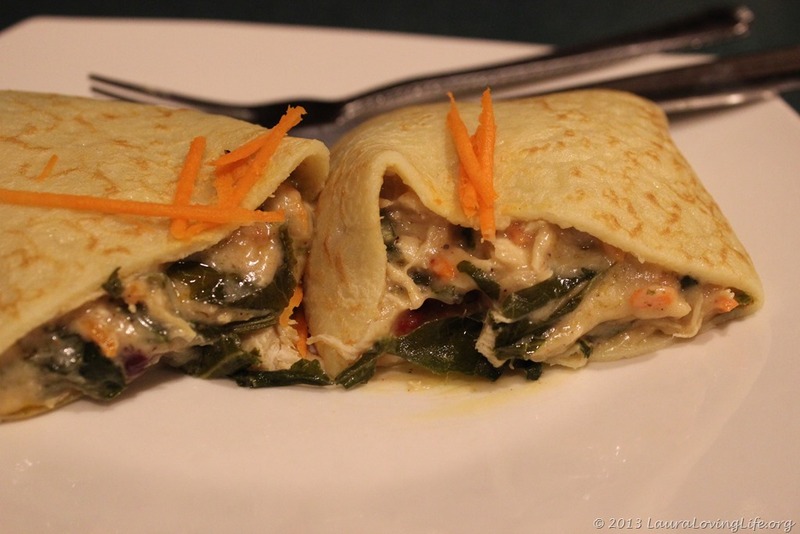 My daughter loves making dessert crepes; she will whip up a batch and munch on them all day (along with her father). I wanted to make dinner and really was wracking my brain to think of what to make wanting to use whatever I had on hand at home. 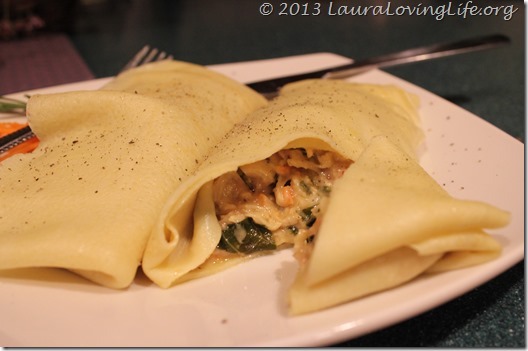 Many years ago I would make dinner crepes quite often; something in my mind jogged that memory free. I ended up making this and wow, what a rich and tasty dinner this turned out to be. Make the crepe batter first to allow it to sit for some time before making them. 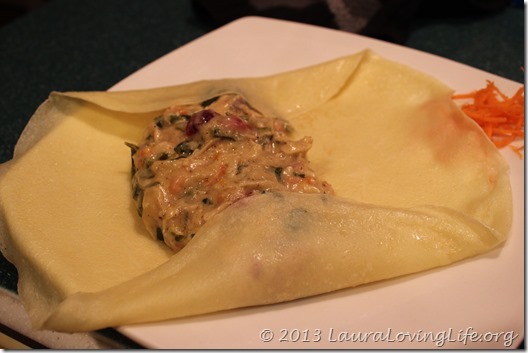 While that is sitting you can make the filling! 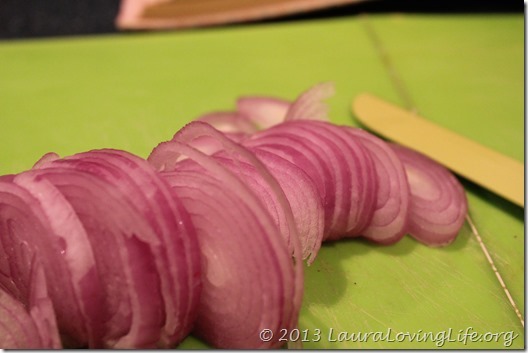 This will allow everything to come together beautifully at the end of cooking it all. 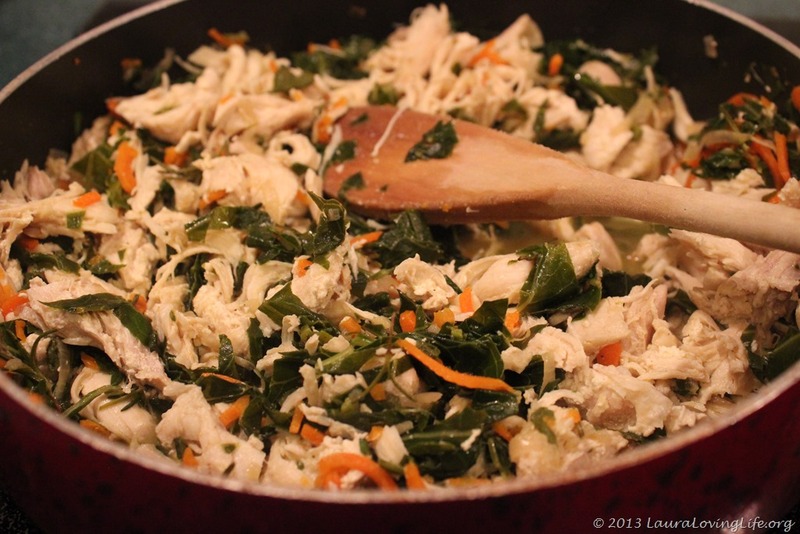 I used chicken but you can certainly use turkey if you happen to still have some leftover. Combine the milk, water eggs and salt and mix, I used an emersion blender, it is a nice handy dandy item to have around! 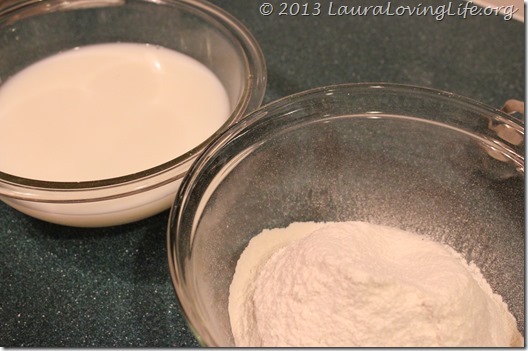 In a separate bowl, sift the flour, add the liquid to the flour and mix until no lumps remain, cover with a towel and let it sit. 8 oz shredded cheese (Swiss, Gouda any smoky flavored cheese will work) I used the smoked Gouda we had left over from Thanksgiving. I used fresh rosemary, thyme and sage as my seasonings, again because I had it on hand. 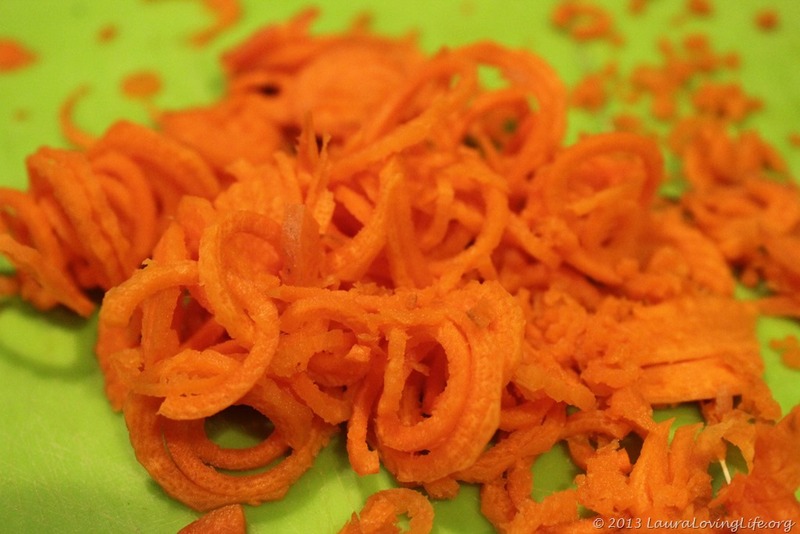 You could season with whatever you prefer, Italian, dried seasoning is fine. I added cranberries but this is totally optional. If you have fresh cranberries cook them in a bit of water and sugar, allow sitting until the end, and mixing in just before putting everything together. 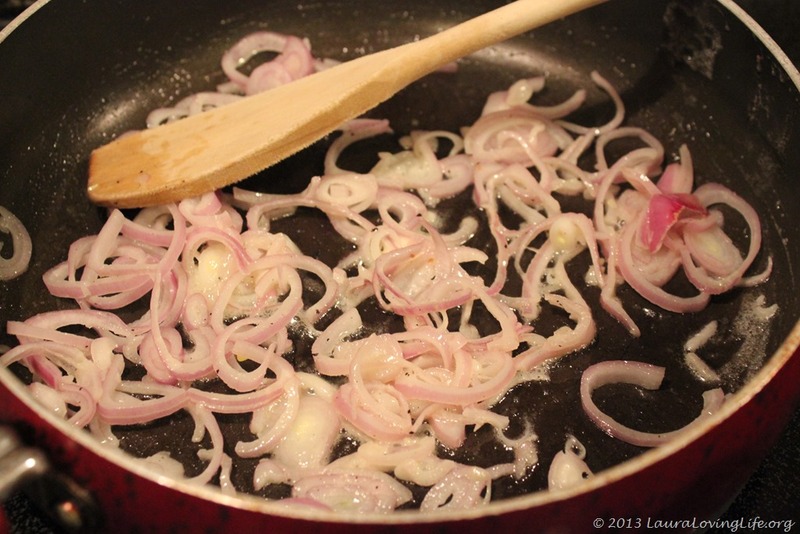 Sauté the shallots in butter for a few moments in a large saucepan. 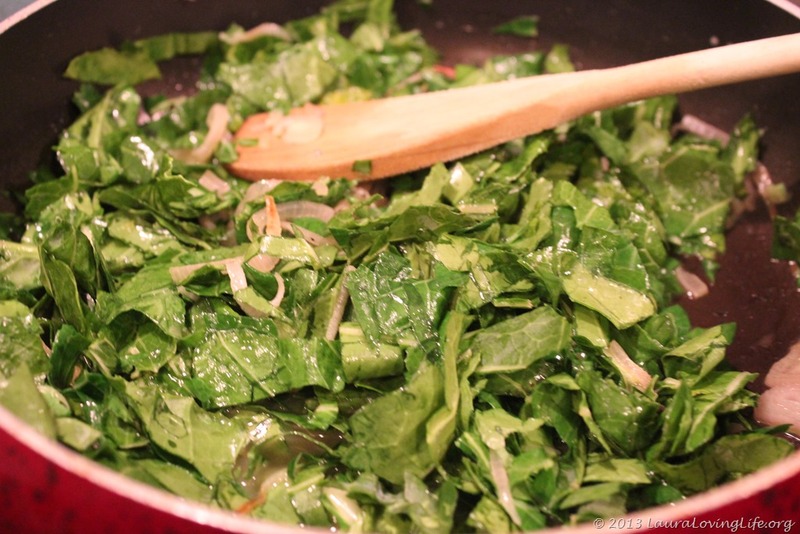 Add the collard greens and stir over medium high heat to release the moisture, add ½ cup chicken broth cook until the collard greens reduce. 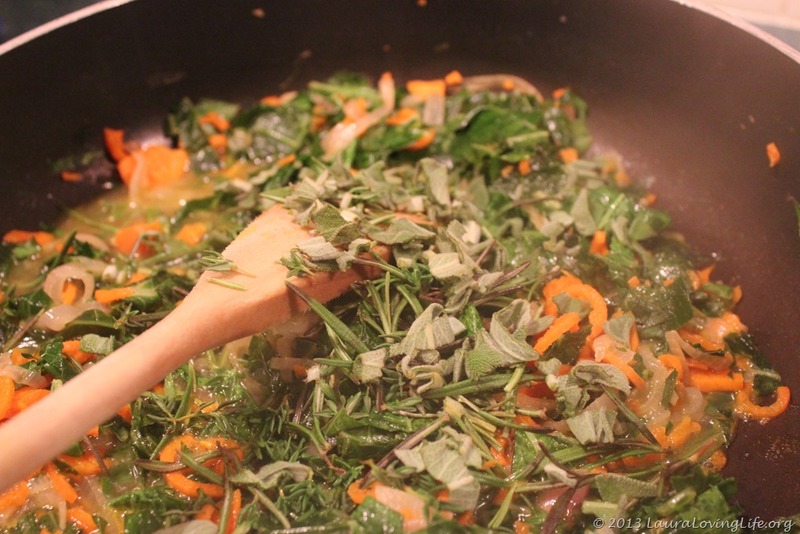 Add the carrots, sage, rosemary and thyme, also more stock if needed, continue to cook. Add the chicken or turkey and combine. 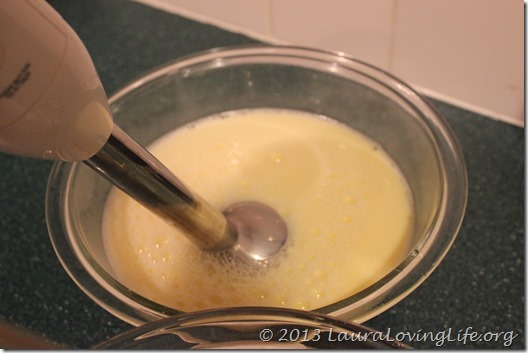 In a separate pot, add the stick of butter and melt it. 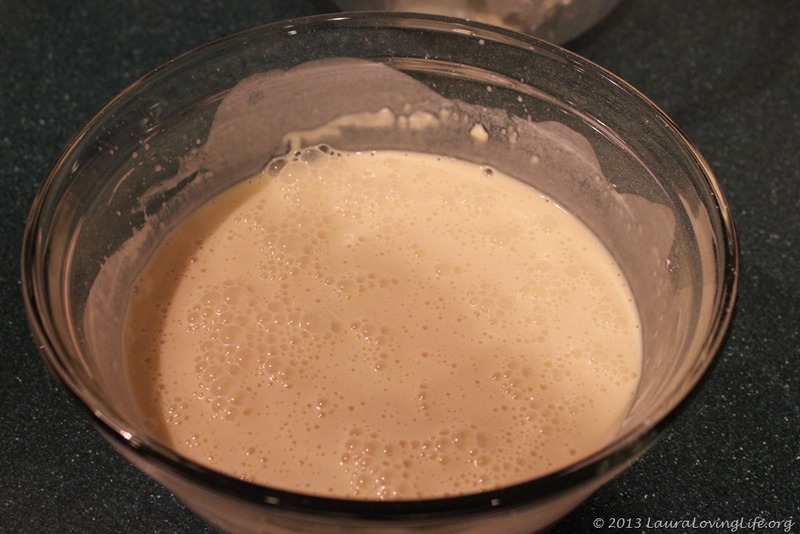 Using a whisk, add in the flour slowly until the butter is combined and is frothy (bubbling) this is your roux; remove from heat pour in the milk and whisk vigorously. Make sure to gather all the bits of the roux from the sides of the pan. Return to heat and bring to a boil stirring constantly. 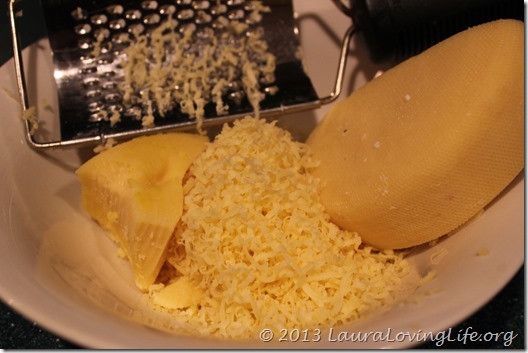 The liquid will thicken, add the cheese and nutmeg. 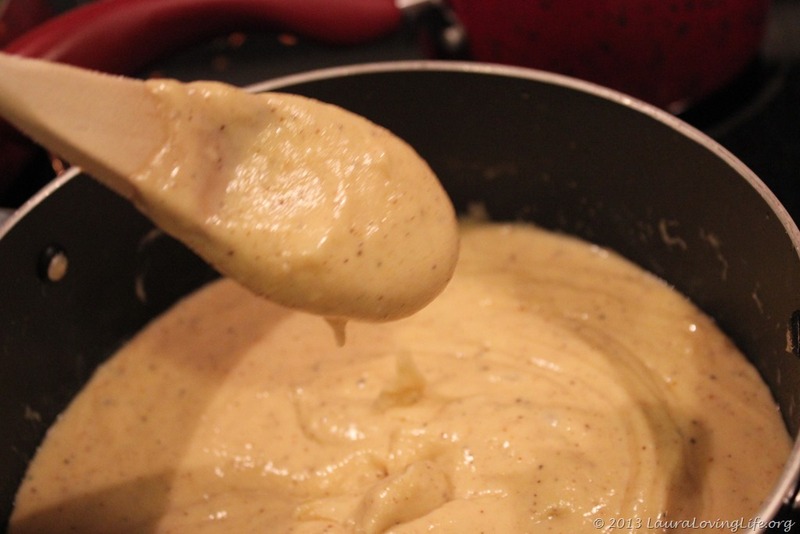 Add the chicken/turkey mixture to the béchamel sauce. Now it is time to make the crepes. I had a hard time taking pics while making these. Next time I will get some help on that. 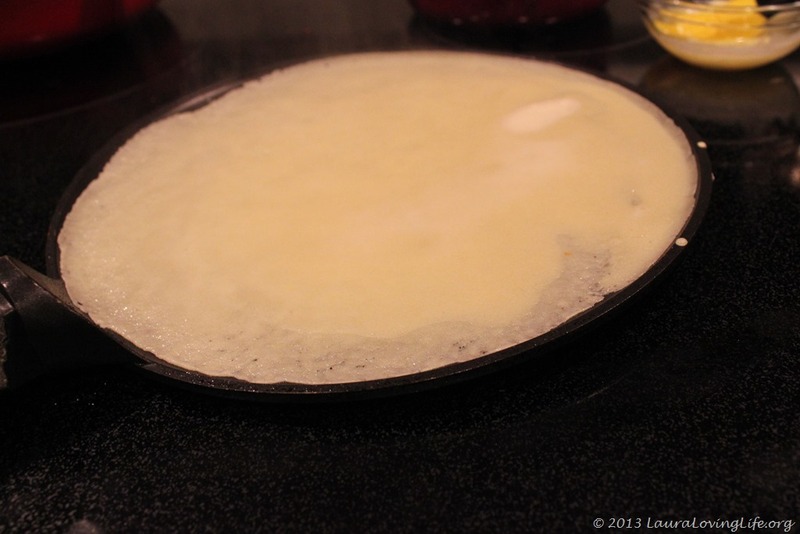 Once you have made all of them, place a big spoonful of the mixture filling the middle of the crepe. 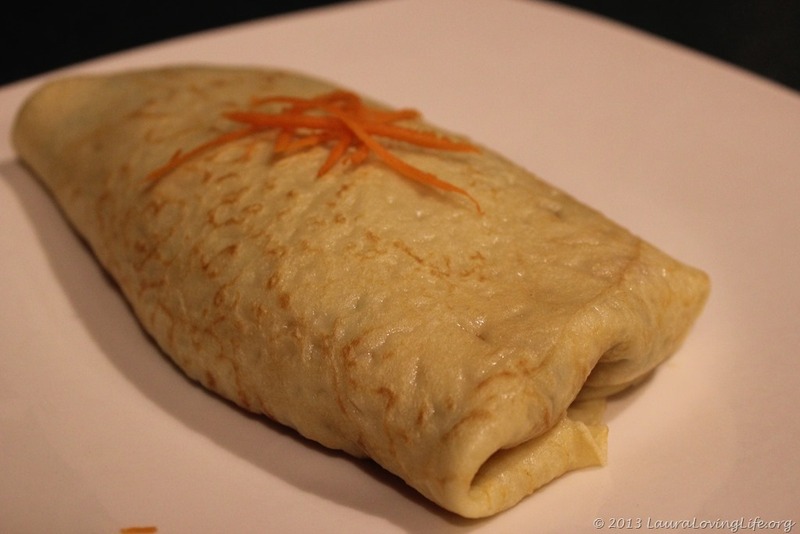 Fold over the edges and roll the crepe. 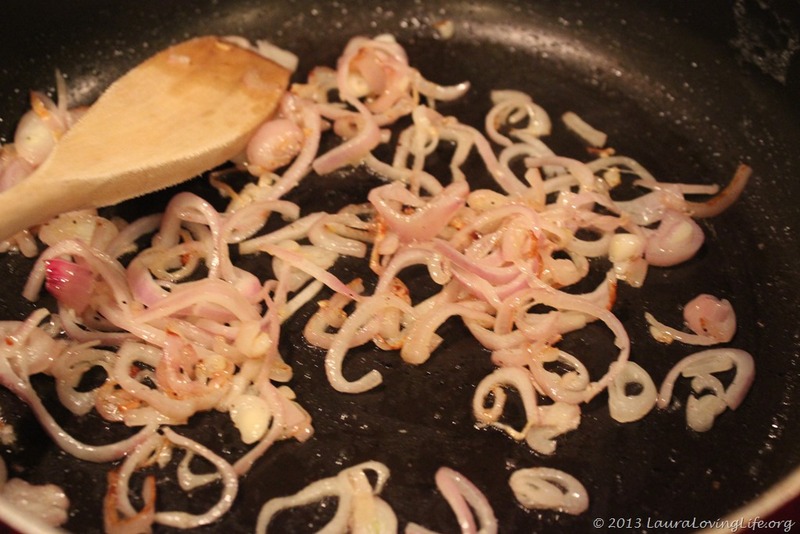 Sprinkle with a bit of cracked pepper and serve. 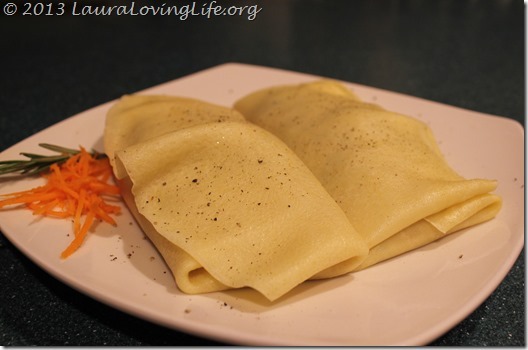 I love this recipe; I have another that I make with mushrooms and ham.